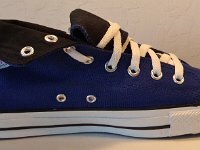 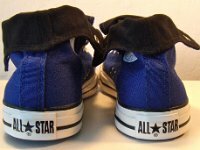 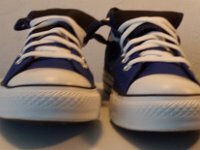 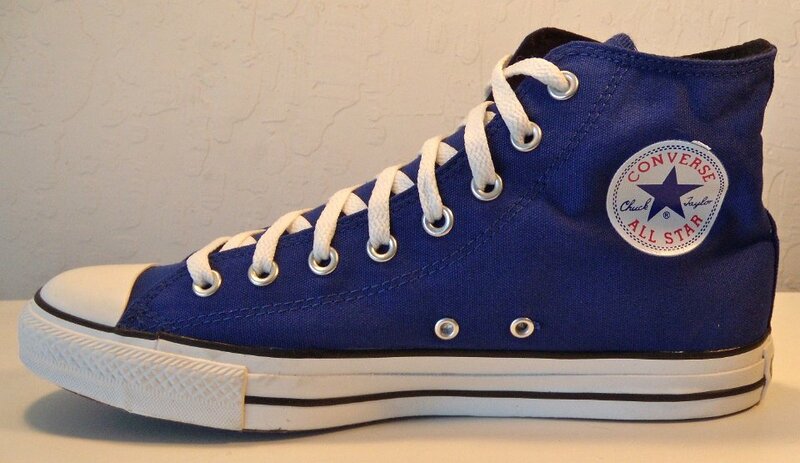 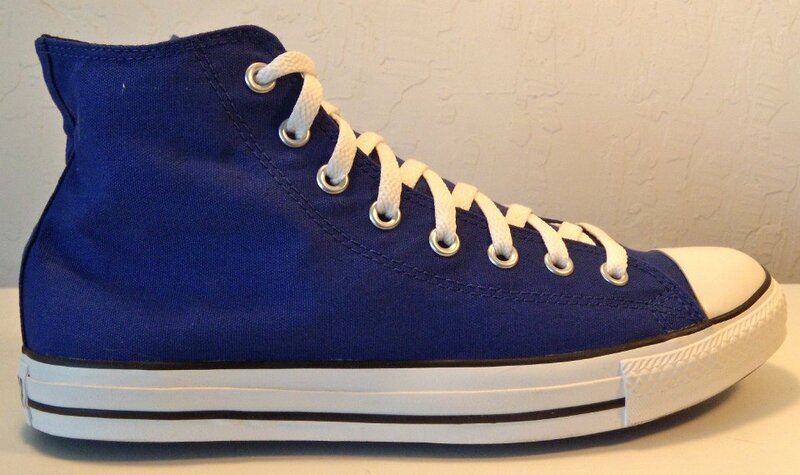 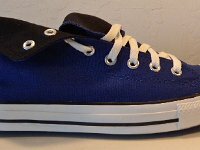 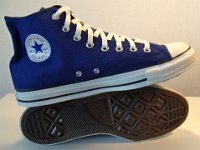 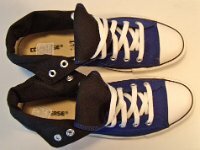 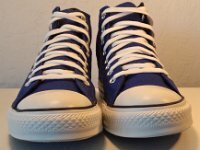 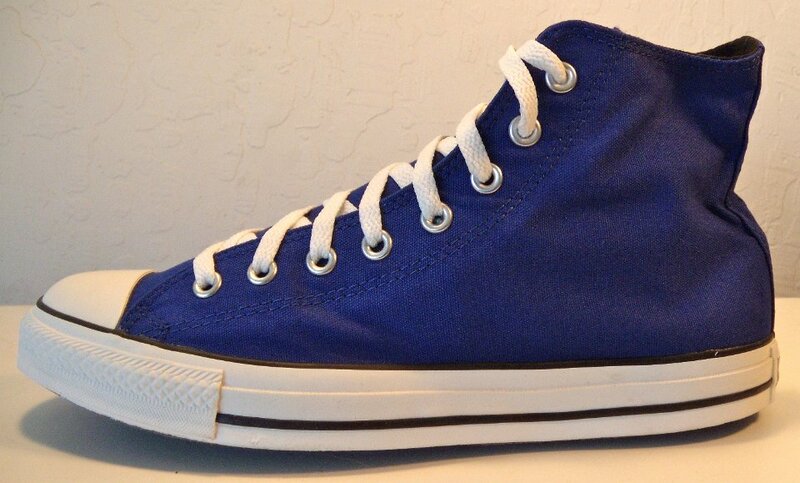 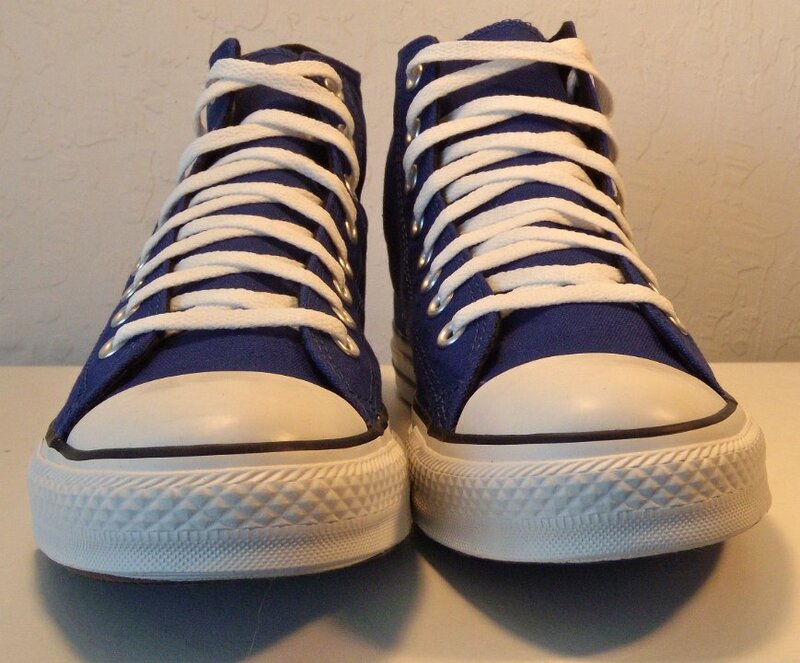 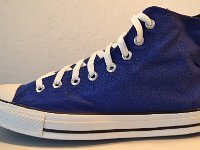 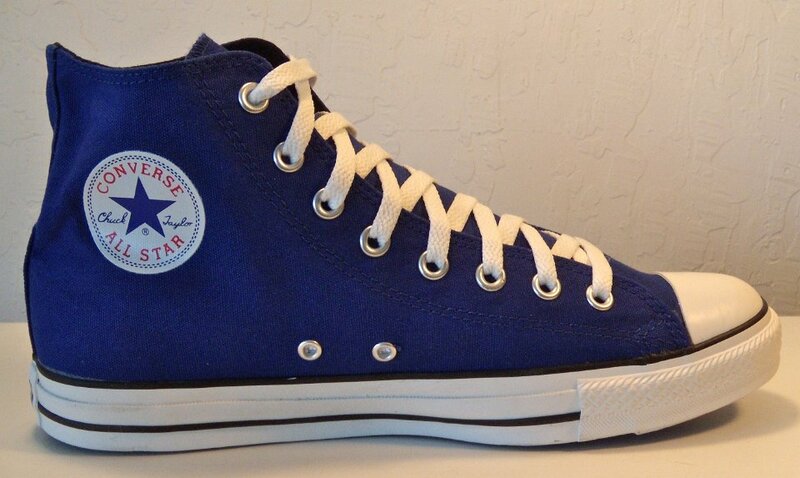 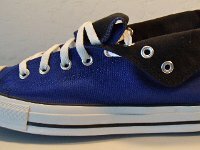 Photo gallery of an unworn pair of royal blue and black foldover high top chucks for sale, mens size 10 1/2. 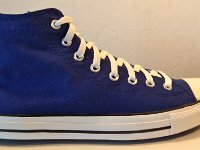 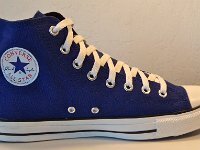 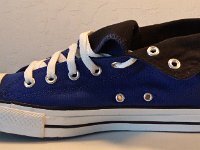 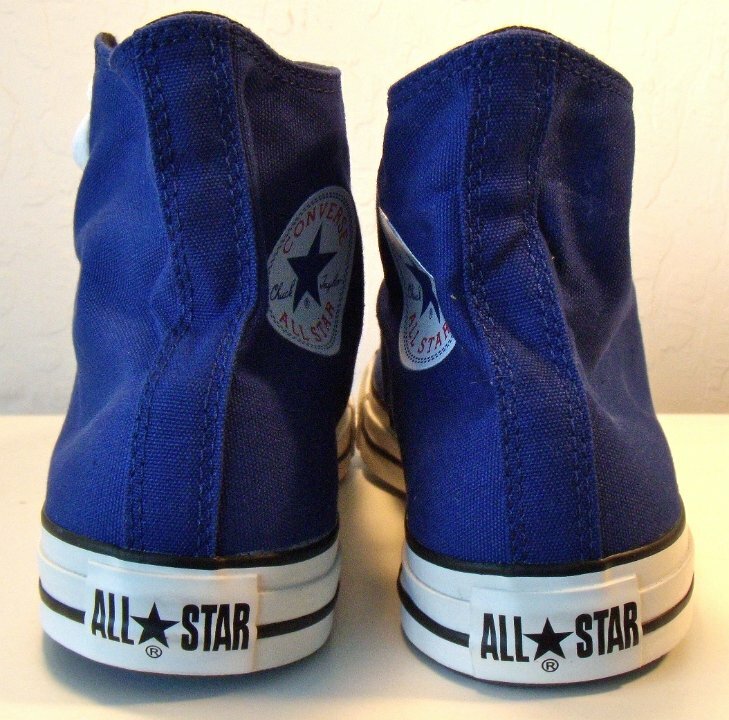 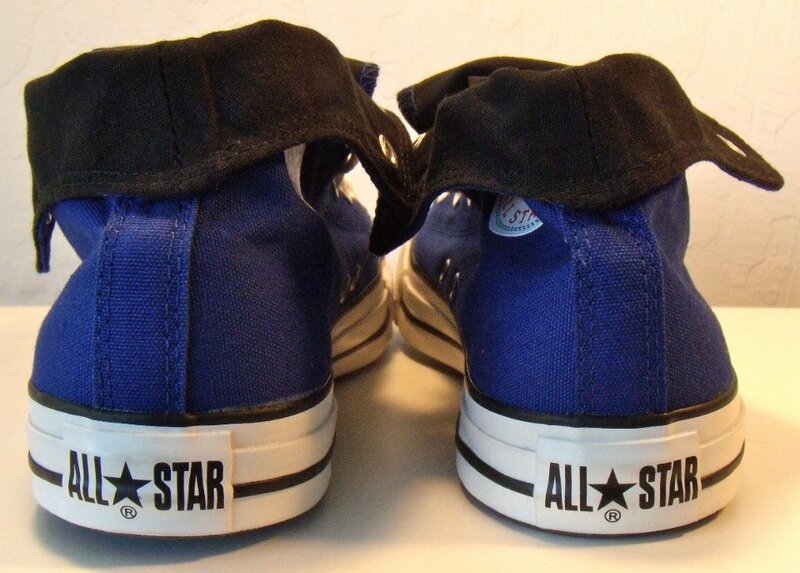 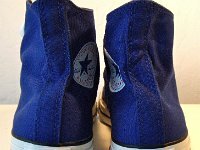 These two color high top chucks have royal blue canvas uppers and black inside canvas that shows when they are folded down. 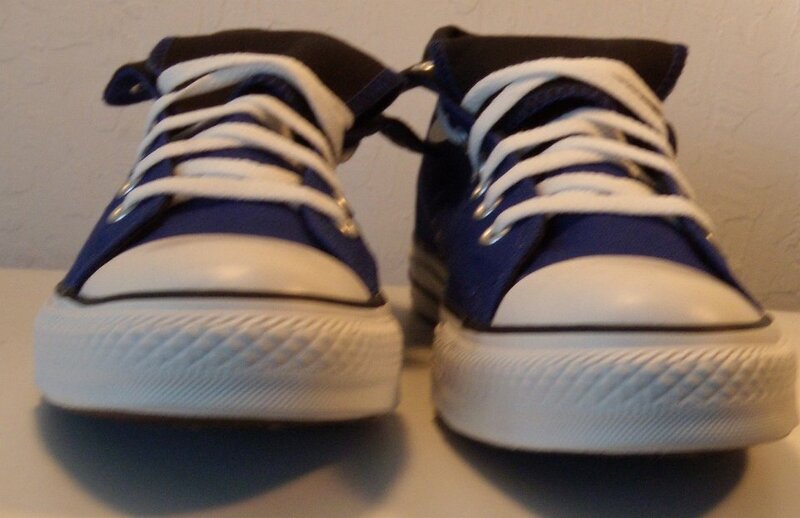 They have a normal black racing stripe, brown outer sole, and black and white heel patch on the white foxing. 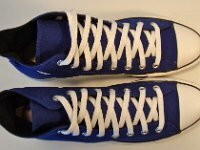 They are a men's size 10.5. 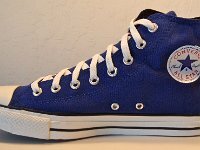 One pair only is available. 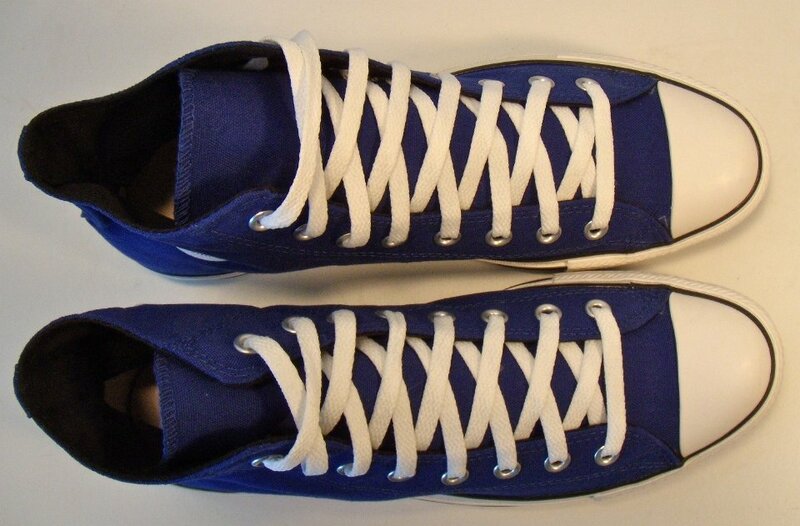 Choose carefully as there are no exchanges or returns on these shoes.